Home → Vape Deals → EJuice Connect Easter Sale 2019! Extra 20% OFF Sitewide! EJuice Connect Easter Sale 2019! Extra 20% OFF Sitewide! Here's another Easter vape deal, this time over at EJuice Connect! Save an additional 20% off their entire website using code "BUNNY20"! This sale is set to end this coming weekend! 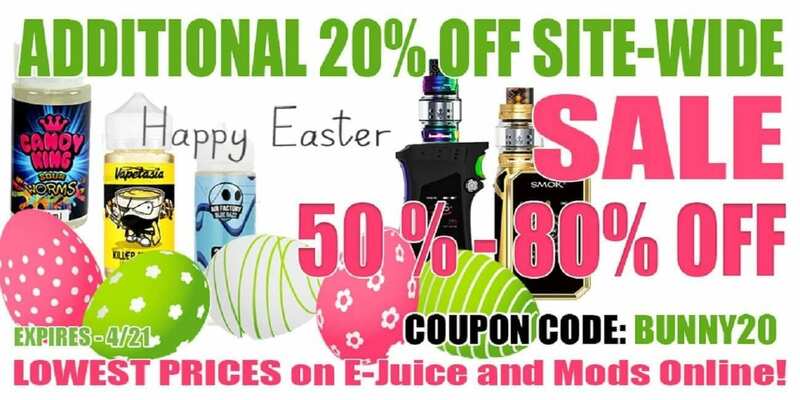 During the EJuice Connect Easter Sale 2019, you can save an extra 20% off your entire order using the coupon code provided. In addition, this coupon code works on all products you can find on the site such as E-Juice, Box Mods, Accessories, RDAs and more. You can shop through hundreds of different brands such as Smok, Wismec, iJoy, Jam Monster, Big Bottle Co., Naked 100 and more. 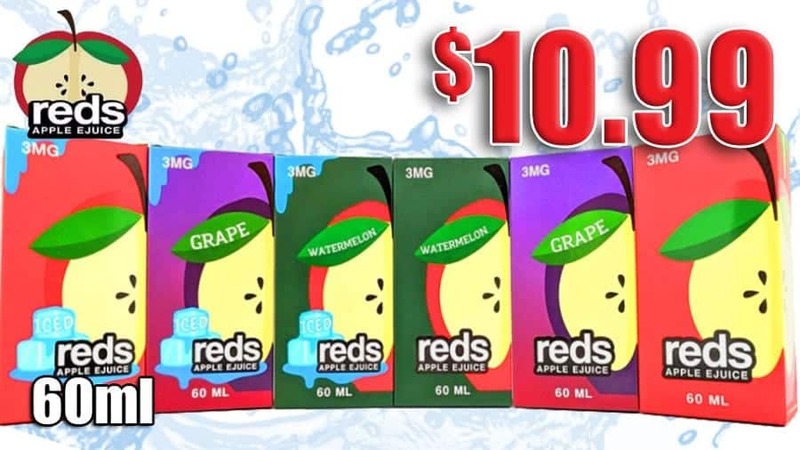 EJuice Connect has a wide variety of bottle sizes and carry 3mg or 6mg nicotine strengths. They're also always adding more products to their site almost everyday! Not to mention, they've already discounted products on their site up by to 80% off, so you'll be saving even more cash! If you're looking to grab premium e-juice at insanely cheap prices or simply grab a new vape setup for one low price, then this is a deal you simply cannot miss out. EJuice Connect already offers some of the lowest prices we've seen from any US Shipper, so definitely take advantage of this sale.